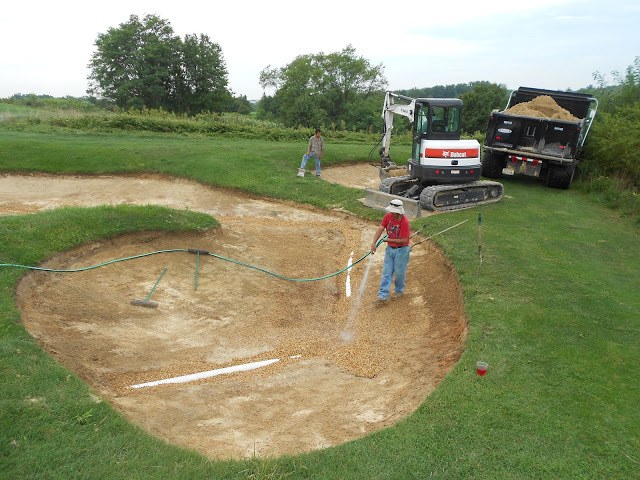 Certification: Golf Creations has been certified as a Better Billy Bunker installer since August 2012. 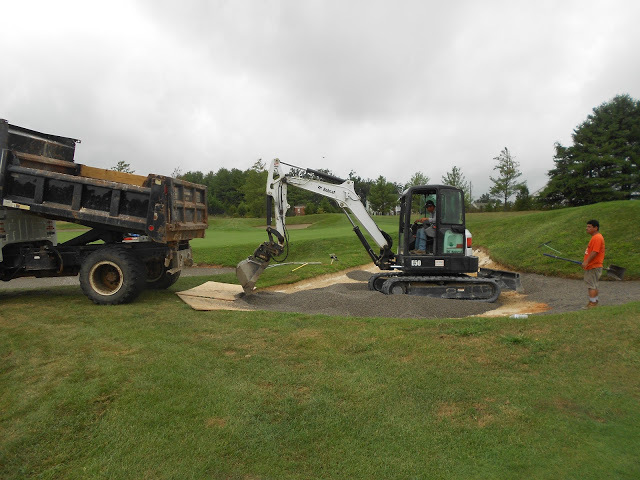 Check out this fantastic video by Indian Hills Country Club superintendent, Bob McLean, showing Golf Creations and the Better Billy Bunker process. 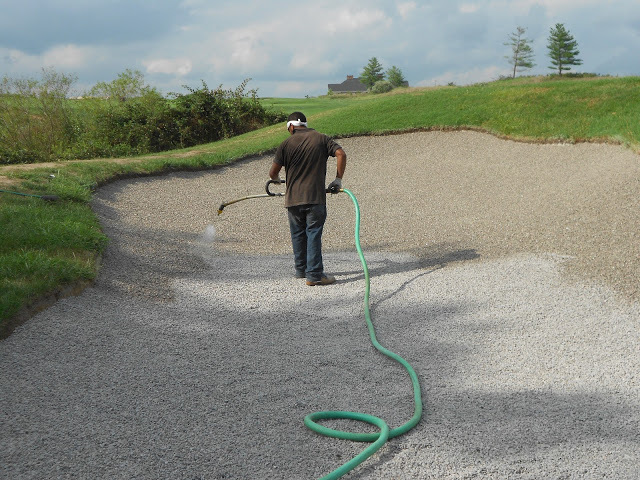 The BBB Process: The Better Billy Bunker method involves laying down 2 inches of gravel across the entire bunker “floor”. 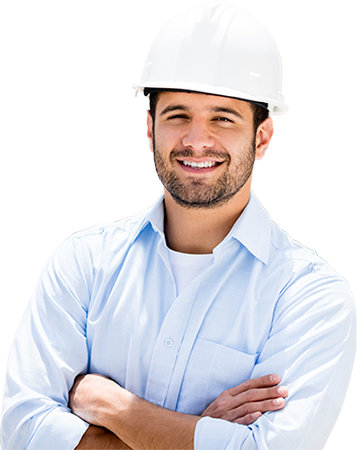 A spray polymer is applied; it seeps down amidst the gravel profile and hardens into a strong-but-flexible bond, holding the gravel together. This layer effectively holds sand on the steepest of bunker faces and manages to move water through it at a rate up to 350 inches an hour. 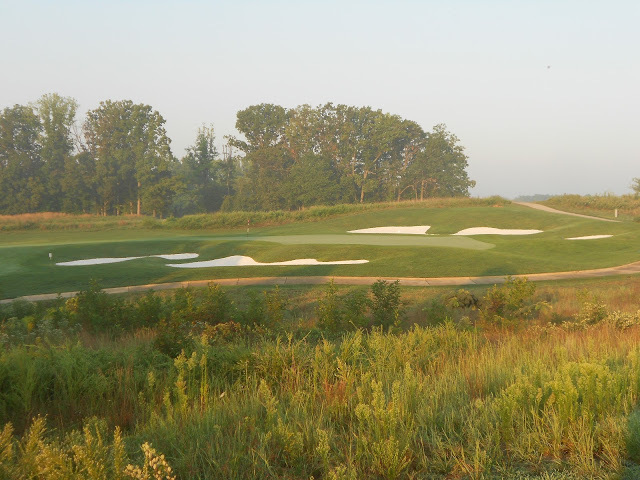 LORTON, VA — Designed by Bill Love, Laurel Hill Golf Club is indeed a beauty — situated on rolling terrain just outside the District of Columbia and dotted with 120 flashed-sand bunkers. 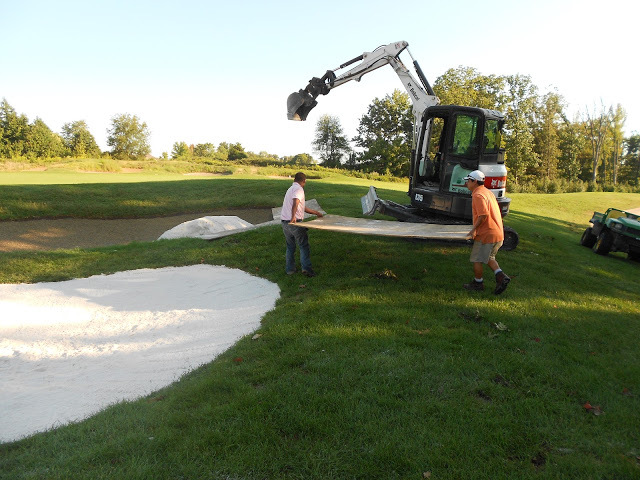 Recently, Golf Creations was contracted to replace the failing fabric liners and contaminated sand in all 120 bunkers using the Better Billy Bunker method, a process Golf Creations has been certified in since 2012. Proof is in the Pudding Lip service is great, but was it all worth the effort? 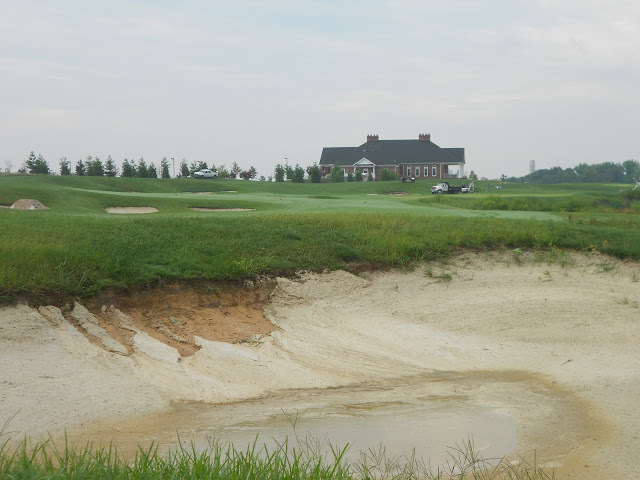 We wanted to provide an update from Rick Owens, the head superintendent at Laurel Hill Golf Club in Lorton, VA, who experienced the torrential rains of Hurricane Sandy soon after the project was complete. 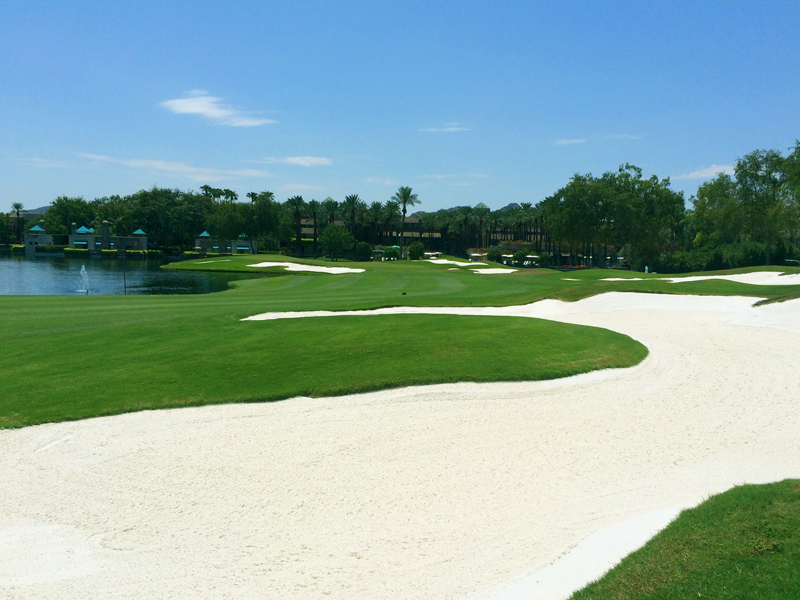 A single hour of clean up on 120 bunkers, after 7 inches of rain? That’s pretty incredible. 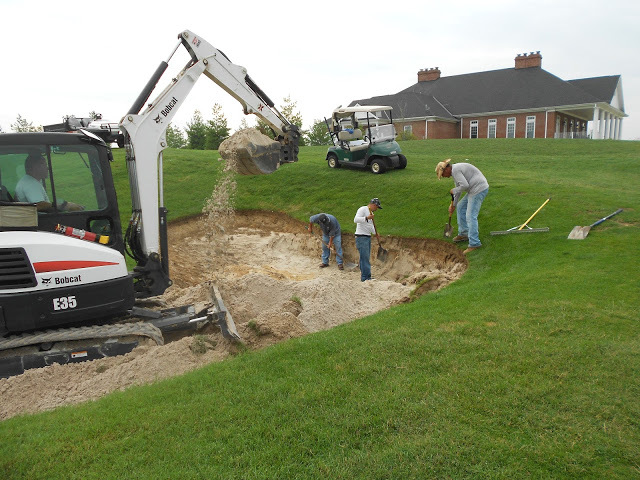 The Better Billy Bunker method has gained a lot of traction lately, and one of its major claims is a reduction in man-hours related to post-storm maintenance. Sandy and LaurelHills are proof that claim is well founded.